There is decorative glass made outside of the Venetian island of Murano. But the glass made elsewhere is not Murano glass. The glass made elsewhere is not the result of thousands of years of tradition, passed down from generation to generation. The glass made elsewhere is not imbued with the secrets, the technique, or the mystique of Murano glass. The Adriatic Pendant is an item of genuine Murano glass, designed to celebrate what makes the island so special. 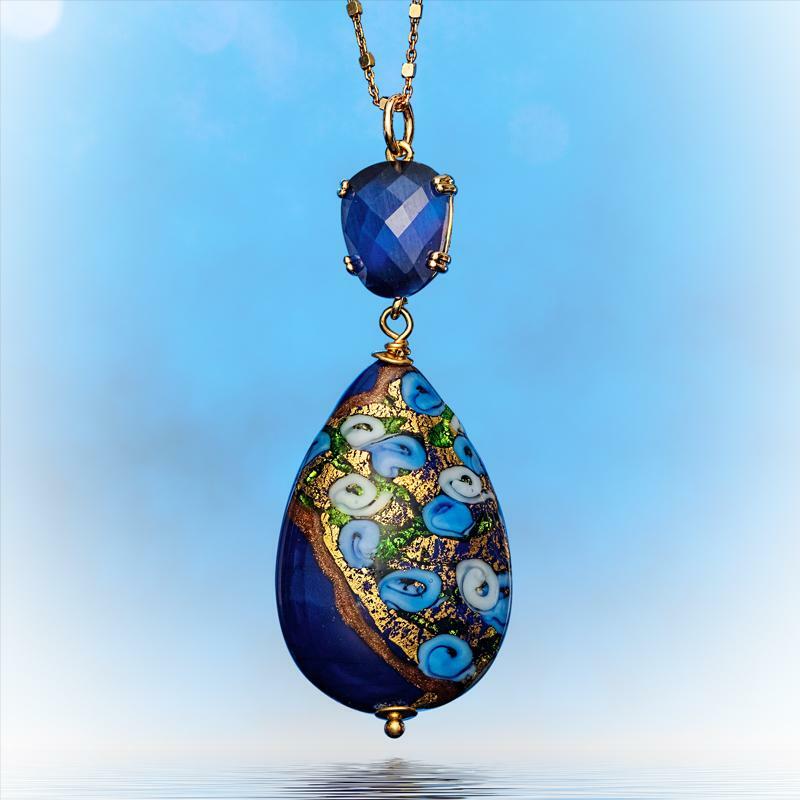 Capturing the blue and green colors of the glorious Adriatic Sea that sits off Italy’s eastern coast, this pendant is also flecked with classic 24K gold leafing that looks like sunlight catching the water. Looking into this pendant is like looking out across the ocean on a bright morning. We’ve spent many years building relationships with glassworkers on Murano, and our reward is that they give us a good price when we buy for our customers. So while the tourist might have to pay a little extra for the unique joys of Murano glass, Stauer customers can wear the result of millennia of craftsmanship for $79.